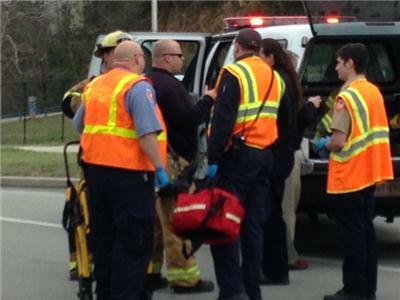 Chattanooga firefighters rushed to J.C. 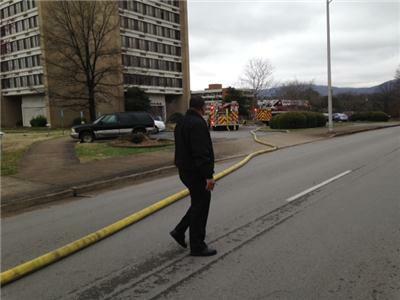 Towers on W. Martin Luther King Boulevard around 11:30 a.m. on Monday on a reported high rise fire. 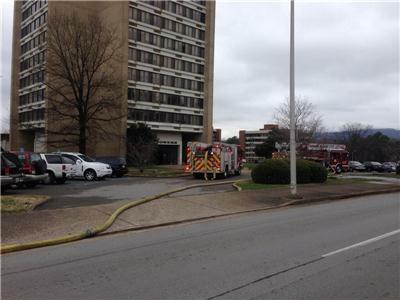 Battalion Chief Lesley Morgan said firefighters located the fire in a mechanical room on the eighth floor. 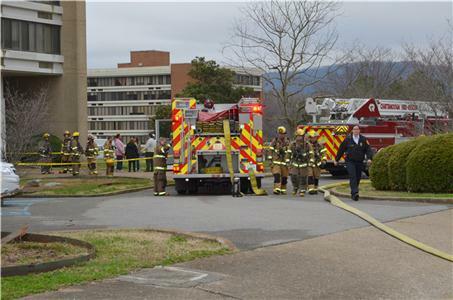 The firefighters got the fire out in less than 10 minutes, but it generated a lot of smoke, which spread throughout the eighth floor and higher. 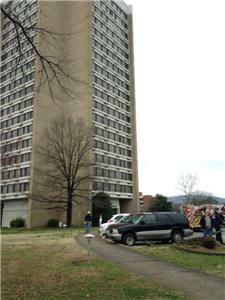 The firefighters began to immediately evacuate residents from the eighth floor and above. Chief Morgan called for a second alarm response to bring in additional firefighters to help with the evacuation. 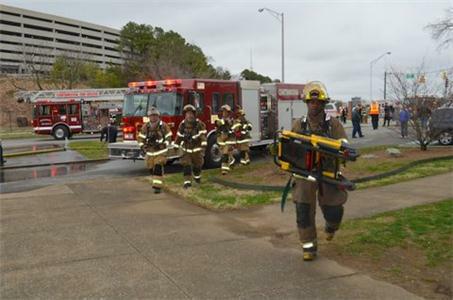 Many of the residents had physical disabilities, so the firefighters had to assist or even carry the residents down to the lobby area. Once it was confirmed that the fire was completely out, the evacuation was stopped and most of the residents were asked to shelter in place. No fire-related injuries were reported, but paramedics with Hamilton County EMS did check out a couple of residents who needed medical attention. 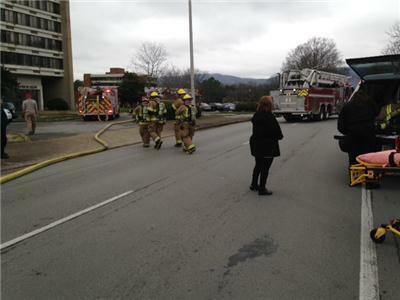 The fire knocked out power to the entire building, and EPB technicians informed the fire department that repairs could take hours and might even stretch into tomorrow before power is fully restored. As a result, Chief Morgan made the decision to evacuate the entire 18-story building, which has approximately 150 residents. 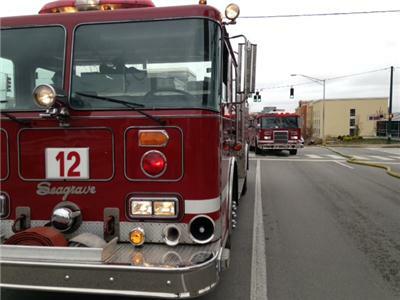 The Salvation Army of Greater Chattanooga was called upon by the Chattanooga Fire Department and was on the scene, providing emotional and spiritual care. The Salvation Army was providing drinks and snacks at Jaycee Towers and Dogwood Manor. The Salvation Army was preparing to serve dinner at the South Side Recreation Center at 1151 W 40th Street to evacuees. The American Red Cross set up a shelter for 150 residents. It was partnering with the American Red Cross to meet the physical and spiritual needs of the evacuees. It is uncertain how long residents will be displaced, and The Salvation Army was preparing to serve as long as needed. The McKamey Animal Center has agreed to take care of any displaced pets. There were some reports that the emergency lights were not working in some parts of the building. Representatives of the fire marshal’s office will be doing a follow-up investigation on that.